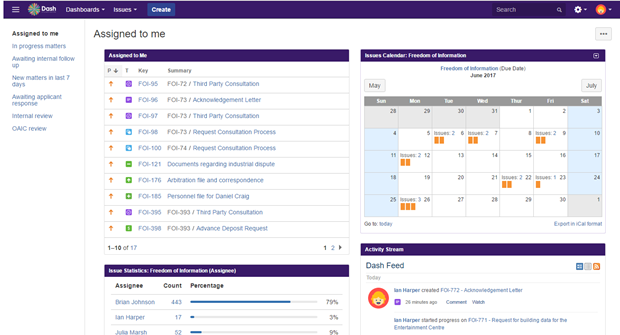 GLiNTECH has developed a packaged automation solution called Dash that helps Federal agencies track, manage, process and report on requests for information received under the Freedom of Information Act 1982 (FOI Act) and other legislation. 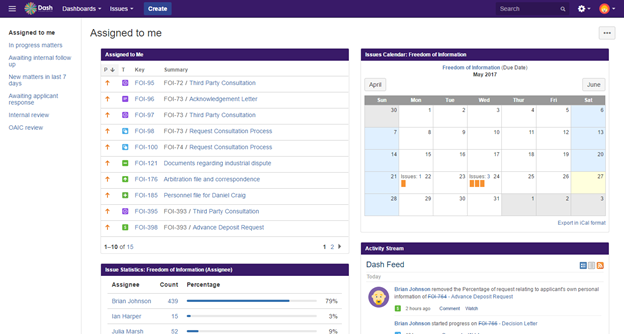 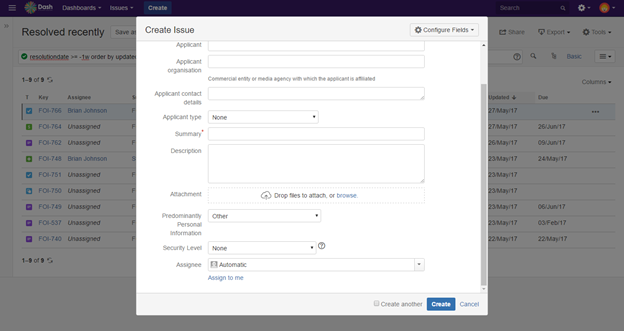 It offers users advanced workflow management, document automation, email reminders, reporting functionality and other features. 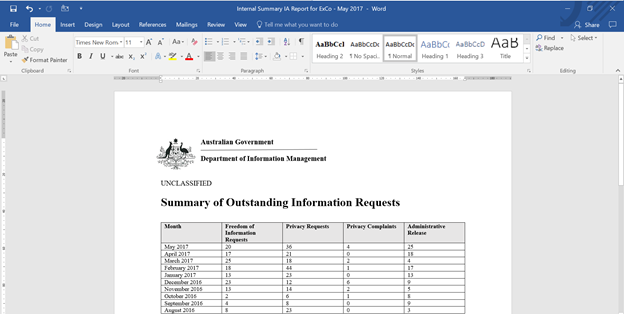 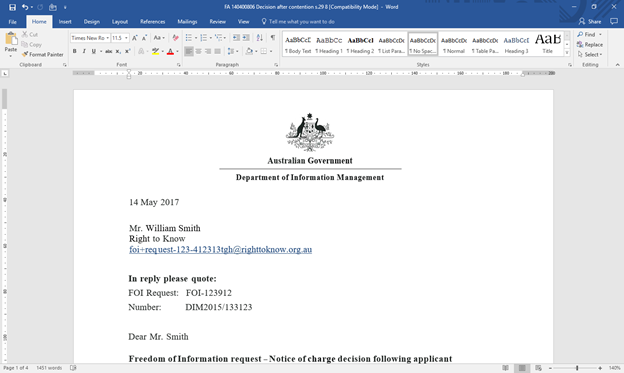 Export data about FOI requests for external reporting in a form consistent with the requirements prescribed by the Office of the Australian Information Commissioner, to common formats such as Microsoft Word. 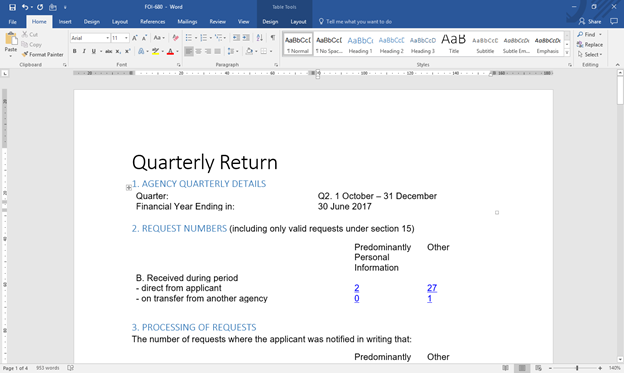 Whilst MS Excel is great for some things, it's not great for your quarterly FOI reporting, lacking audit trails and capabilities to cross check your figures. 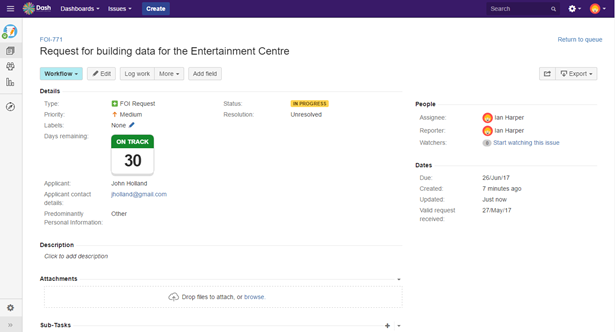 The reports you produce using our solution allow you to quickly link back to each FOI request through a click of a button, allowing you to see which exemptions were considered and more.